The Rimadesio flagship store in Vienna by Gruenbeck is the competence center for Italian design furniture and doors made of glass / aluminum for more than 10 years. The room dividers, doors and interiors are impressively staged on two floors and show new design possibilities with transparencies, light reflections and trendy color and material combinations. The stable, lightweight design with patented aluminum profiles, technical details and glasses reduces weight and enables attractive and easy-to-use solutions. 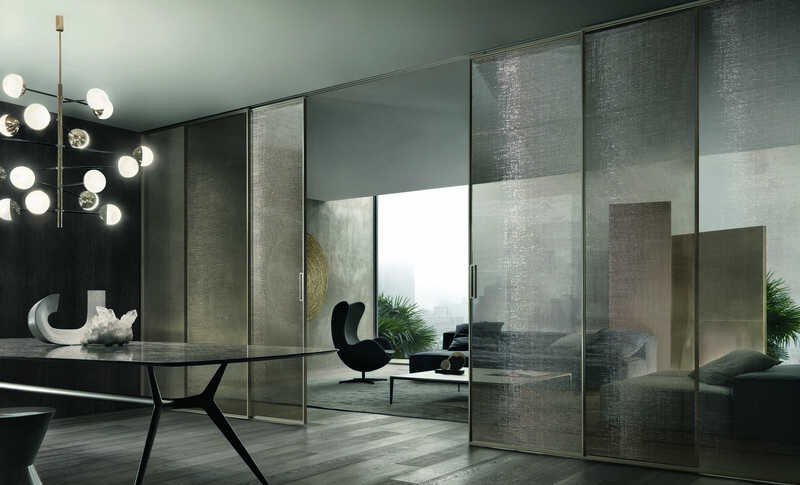 New fixed elements and flush-mounted rails extend the possibilities with the Velaria sliding door. 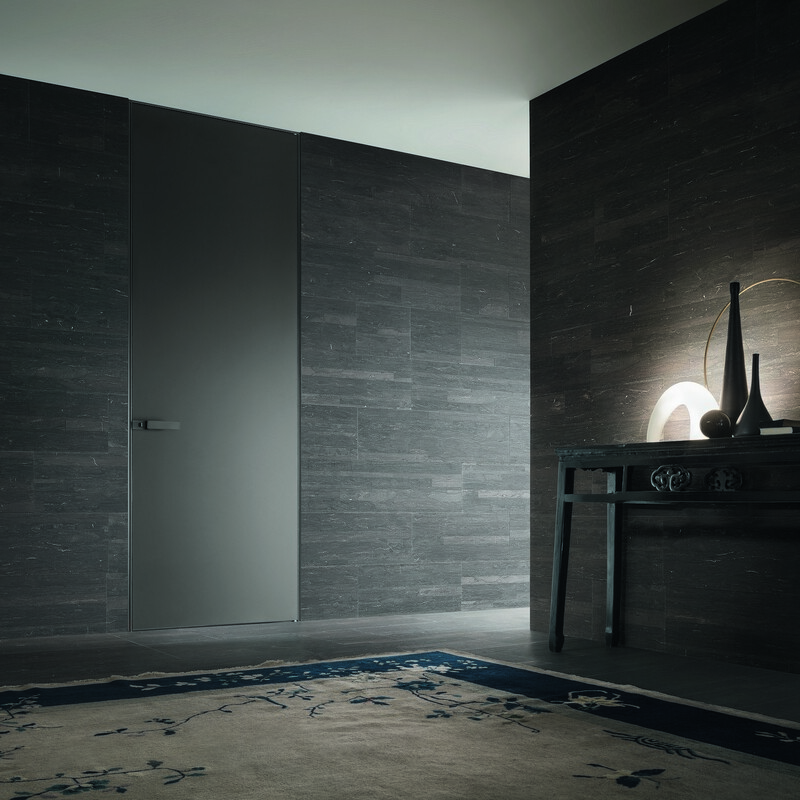 New materials such as ceramics are available für the Moon door, in combination with special mounting profiles which enable flush-fitting wall cladding with integrated doors in one design.